Scottsdale is world-famous for its luxury real estate and many people strive to own a home in this southwest desert city. 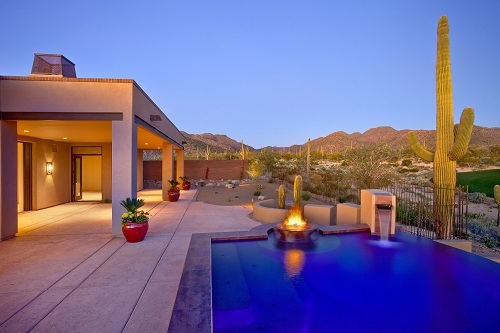 A quick internet search for ‘homes for sale in Scottsdale az’ reveals the caliber of homes one can expect within the prestigious neighborhoods that make up Scottsdale, Arizona. But for those who truly want to settle down in a luxury home surrounded by tranquil desert landscapes, there are other towns and areas worth researching before making your final decision. Just southeast of Scottsdale and north of Tucson lies a charming upscale town of Marana. 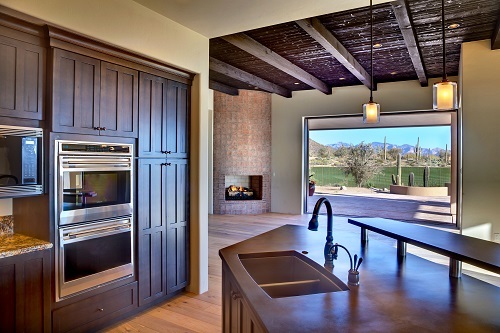 Marana has luxury neighborhoods nestled into the foothills of the Tortolita Mountains. One such neighborhood is Dove Mountain, a master-planned community which includes the luxurious gated residential community known as The Residences at The Ritz-Carlton. Communities such as The Residences have many striking similarities to Scottsdale luxury real estate, but with added perks. Take a look at a comparison between The Residences at The Ritz-Carlton, Dove Mountain and Privada, a luxury gated community located in the foothills of Pinnacle Peak in North Scottsdale, Arizona. Ownerships brings access to The Ritz-Carlton hotel and spa, concierge service, Jack Nicklaus Signature Golf, The Golf Club at Dove Mountain, and more. Tucson offers a vast number of amenities, including museums, the prestigious University of Arizona, and the arts, yet retains a small town feel. Zagat has rated Tucson as the number one city in the United States for resorts and spas. More than 350 days of sunshine every year. With elevations of 2,700 to 4,000 feet, Tucson summers remain cooler than most desert cities like Scottsdale. As you can see from the above comparison, it may behove you to consider other areas beyond Scottsdale when searching for your next dream home. For more information visit http://theresidencesdovemountain.com.